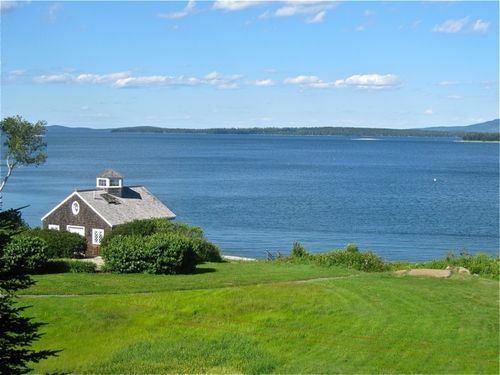 Above is a snapshot of an idyllic the seaside cottage in Brooklin, Maine. This is where I just happened to stay on my recent sojourn to "The Pine Tree State." Pretty, ain't it? It was a wonderful -- not to mention ironic -- getaway from the heat and humidity of Brooklyn, New York. Take a moment to be jealous. Then take a moment to imagine horseflies ready for saddles and rough n' tumble mosquitos that scoff at Deep Woods Off! and citronella candles. OK. Now, get ready to be jealous again. Oh, yeah baby! One look and my pal Karen and I pulled over with her four fair-haired boys in tow. We made way into the stop's ramshackle garage and the boys' eyes widened at the huge tank filled with red-clawed beasts. 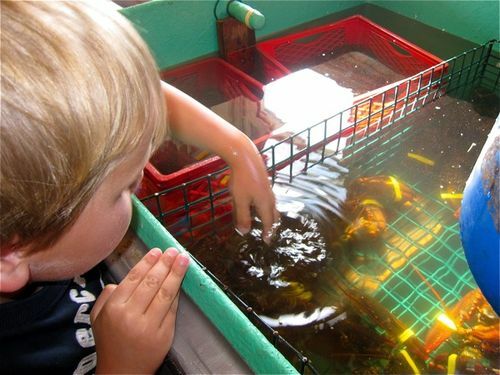 Brave souls that they are at ages 2, 5, 8 and 11, lobster-petting commenced. After a requisite amount of fawning over the crustaceans, weighing and bagging began. Six lobsters were gathered. Then it was time for my eyes to widen. How much did you say? Did I hear you right? How much do these six lobsters cost all together? I heard right. $26 for six 1 and a half pound lobsters. That's cheaper than chicken folks. 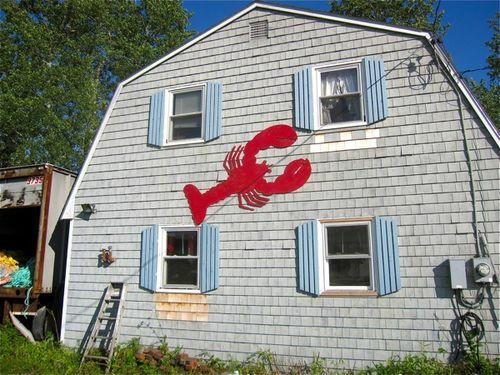 I think Maine needs a new state nickname: "The Lobster State." Who's with me? I think Karen and the boys are in. Maybe I can rally the horseflies and mosquitos to join in too. Goodness knows that they seem tough enough to canvass for the vote in Maine!